KAFUBU Water & Sewerage company has been awarded the International Star for Leadership Award in the Gold Category at a prestigious event held in Paris, France. In a statement by Yande Musonda, first secretary for press in Paris, France, the award was bestowed on Kafubu Water and Sewerage Company for outstanding achievements, perseverance and leadership in excellence and quality in accordance with the World Quality Commitment criteria. The World Quality Commitment Award recognizes and promotes companies, organisations and institutions that understand the dedication, continuous improvement, innovation and relentless pursuit of productivity that leads to excellence. Permanent Secretary in the Ministry of Water Development, Sanitation and Environmental Protection, Bishop Edward Chomba, Zambia’s Ambassador to France, Dr. Christine Kaseba-Sata, board chairperson, Engineer Yamfwa Mukanga and his delegation from Kafubu Water and Sewerage Company received the Award on behalf of the water utility company. And Chomba said it was most gratifying for Zambia to be recognised through Kafubu Water and Sewerage Company in the Gold Category at international level. Chomba said Government was making strides in fullfiling strategic goals such as sustainable development goal number six (SDG-6) which targets ensuring availability and sustainable management of water and sanitation for all. Chomba noted that his sector was also working towards implementing the Agenda 2030 so as to ensure that all households had access to tap water around that period. Earlier, Dr Kaseba-Sata reiterated that the International Star for Leadership Award was a clear indication that Government’s efforts in not only improving the country’s business environment but also quality and productivity was being recognised and thus attracting the international community’s attention. “This achievement goes a long way to speak about the great strides for Zambia, in particular Kafubu Water and Sewerage Company,” she said. And Engineer Mukanga thanked the organisers of the World Quality Commitment Award Convention, Paris 2019, BID Group One and Business Initiative Directions (BID) for recognising Zambia. “We are truly thankful for this Award because we never expected to win but because of our operations and the support from the Government of Zambia our work has been recognised internationally,” he said. Meanwhile, Engineer Athanasius Mwaba, Kafubu water Managing Director hailed the employees and customers who he said had contributed so much in getting the company where it was. “Having been given this award in the Gold category which falls within our slogan, that of providing good service with commitment and efficiency, coupled with the levels in which this award has been given is being correlated to innovation which we have strived to achieve with exemplary leadership,” Mwaba added. 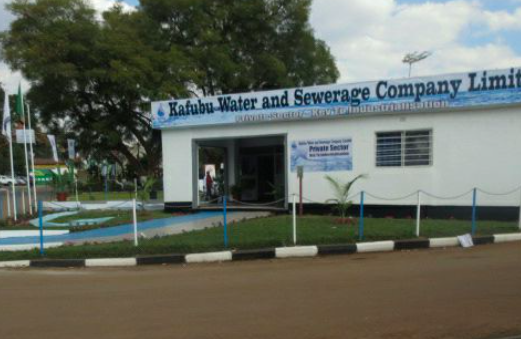 Kafubu water is one of the 11 water and sewerage utility companies in Zambia whose operations commenced in the year 2000 as a result of Water Sector Reform Programme (WSRP) embarked on by the Government of Zambia. The Establishment of these commercial utilities is to provide water and sewerage services in all urban areas of Zambia and was pronounced in the National Water Policy (NWP) document of 1994 in accordance with the Water Supply and Sanitation Act Number 28 of 1997.